I know it never happened to you! PEPI’s hands are dirty, her hair stands up and there are grass stems and leaves between her teeth. Should PEPI clean herself? Why is she frowning? Have you soaped her nose by accident? 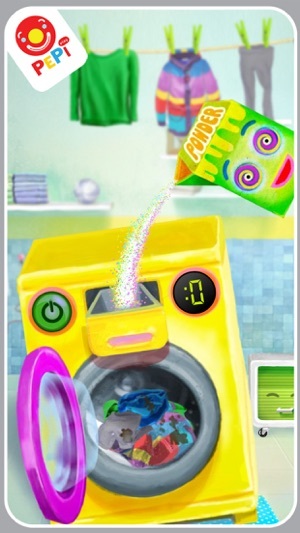 Try popping soap bubbles, or maybe help PEPI wash her clothes. And do not forget to hang them out to dry. Here is much to do! 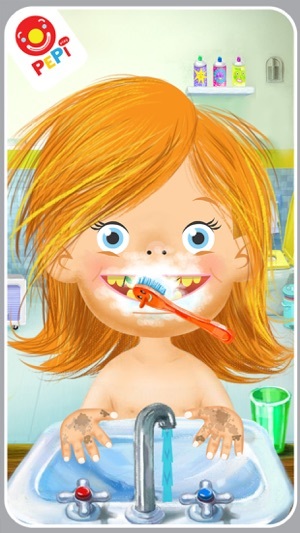 PEPI BATH is a role-play game where children learn about hygiene in a fun way. 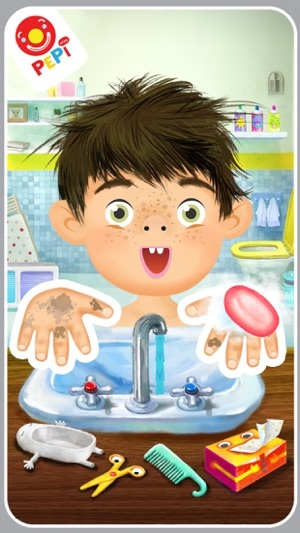 The app has 4 parts as different situations in which this cute character PEPI – a boy or a girl to choose – appears: at the sink, washing clothes, going to a toilet and taking a bath. PEPI BATH can be played both as a set process of cleaning or without any pre-set sequence, where the player is free to choose what they do. 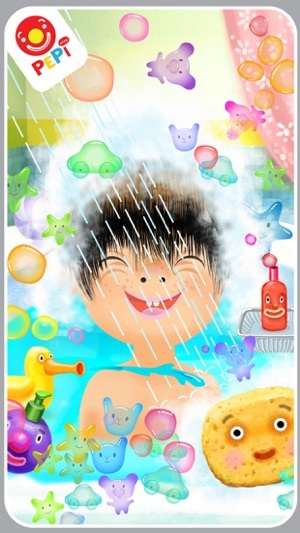 In PEPI BATH cleaning is fun. Besides washing PEPI’s hands or brushing teeth kid can pop soap bubbles or play with colorful sprayers, funny duck or many other. The game is full of similar mini tasks and small surprises. PEPI characters respond interactively and express their emotions. Even objects in PEPI BATH are like little characters. My daughter like this app . It is very nice and educational .